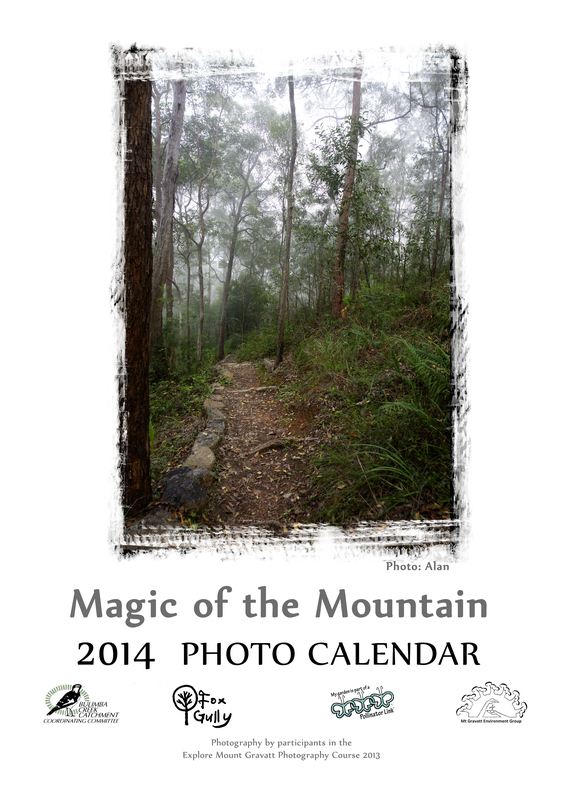 Order your 2014 Photo Calendars today! 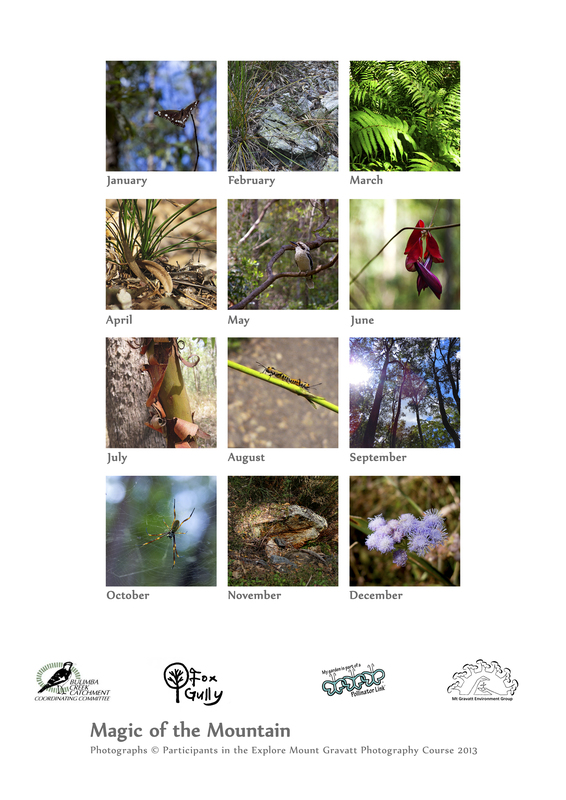 Mt Gravatt Environment Group’s 2014 Photo Calendar presents amazing photography of participants in our annual Photography Workshop. Alan Moore, a member and passionate amateur photographer, leads the workshop sharing his amazing ability to capture the “feeling of being in the bush”. Participants learn the technical skills of landscape and macro photography, and importantly how to use the skills to capture their experience of being in the bush. 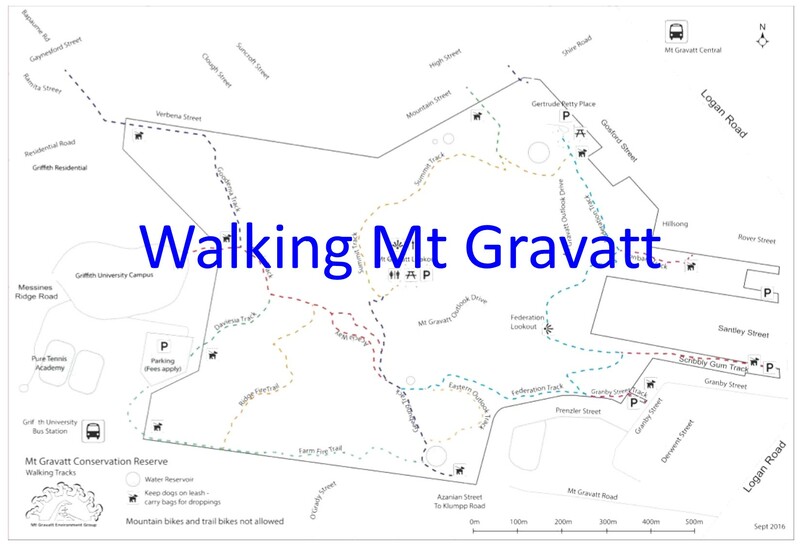 Congratulations, I am a great supporter but apart rom a few walks, do not get up the mountain much these days.